WPI students have ample opportunity to become involved in research that tackles important real-world problems at the frontiers of knowledge. Our project-based undergraduate curriculum makes meaningful, well-designed inquiry a degree requirement. 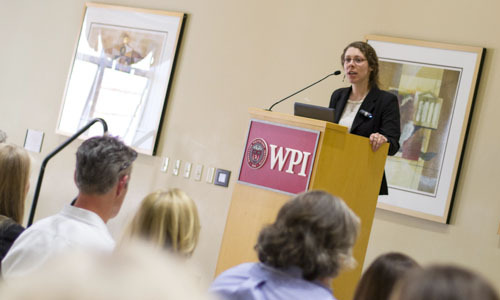 And WPI's research enterprise brings graduate students and faculty together to work closely on new discoveries and innovations. 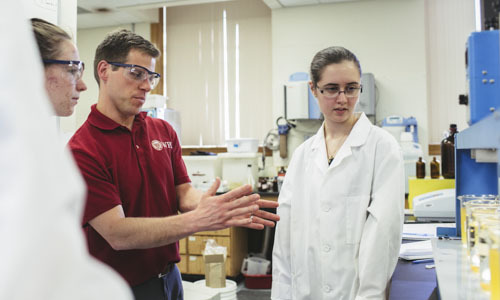 Research is a fundamental component of WPI's undergraduate curriculum. From a first-year project that challenges students to address global issues to a major senior capstone project, students engage in journeys of discovery that prepare them to be leaders and innovators. 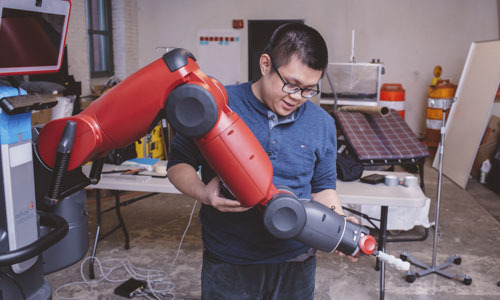 WPI graduate students are conducting research on everything from aerospace engineering to zeolite crystallization, and from the frontiers of materials science to latest advances in cybersecurity. Together, as part of research teams, they are addressing some of the greatest challenges of our time. This is a two-part annual research poster celebration. 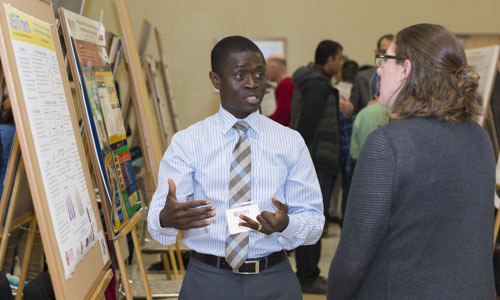 The first part, an all-day event open to all graduate students engaged in research, highlights the breadth, diversity, and quality of WPI graduate research. Judges select up to 60 of the participants to compete for cash awards in part two. This campus-wide pitch competition encourages graduate students to think like entrepreneurs and hone the presentation skills they will need to convince others to invest in their ideas. The entire campus is invited to the i3 finals where students give a three-minute pitch as they compete for up to two awards given for best overall presentation. What motivates me is that I want to make a difference in this world. I have been exposed to many unique opportunities and experiences, which have shaped my career path.